Well, I’m sad to say that my month ClassPass membership has come and gone. Where the heck did those 30 days go?! Since my pass is done, though, I wanted to take some time to share my thoughts on the experience, as well as a brief overview of the classes that I was able to take in and around the Boston area. Thoughts: It’s no surprise that I LOVED this class. I love everything about Exhale Spa. I think the classes are challenging, but rewarding, the instructors are super knowledgeable and the whole experience is worth a visit. I love that they have a phenomenal locker room because it’s nice to be able to shower after a class and carry on with the rest of my day. Thoughts: I liked the instructor and the class. The only bummer was the fact that it wasn’t a full class, therefore there wasn’t as much energy to feed off of. Otherwise, it was great. They didn’t charge for shoe rentals which is a huge plus, and they also offer a free first class! Although there was no shower, the bathroom did have amenities to clean up with. 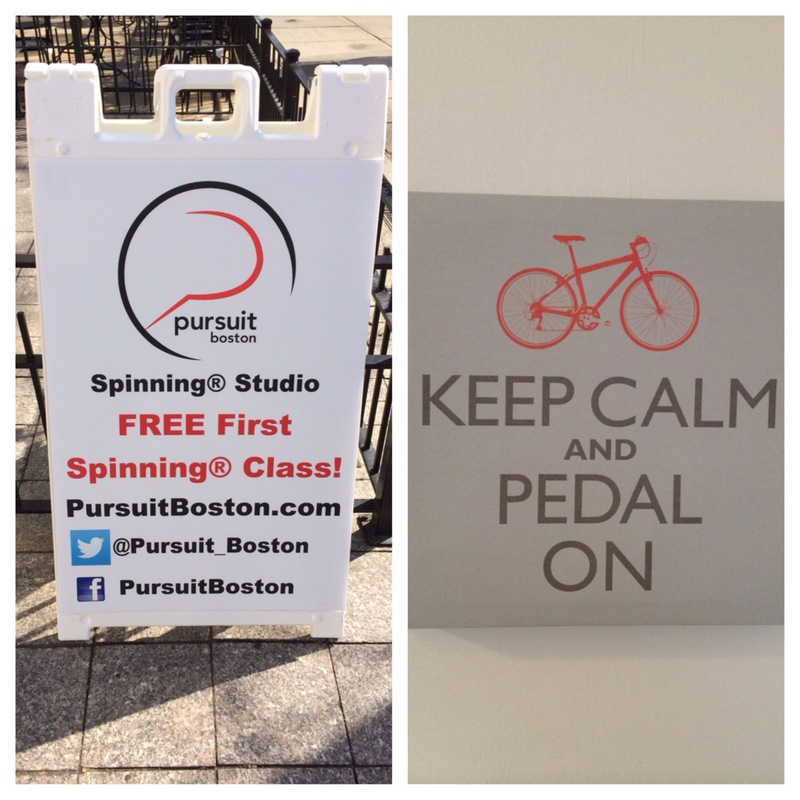 Thoughts: I loved Pursuit Boston! Everyone was super friendly, the space was airy and bright, the energy was high and they had a shower (or 2?) that you could use after the class. They also had plenty of places to change and even had an area to stretch and use weights. The class didn’t use weights, but they are adding new “boot camp” cycle classes soon. They also had some shoes to borrow and provided free hair elastics and chapstick and your first class is free. Lastly, they offer a bunch of special packages which are worth checking out. I highly suggest trying it out. Thoughts: This class was exactly what I needed the day that I went. 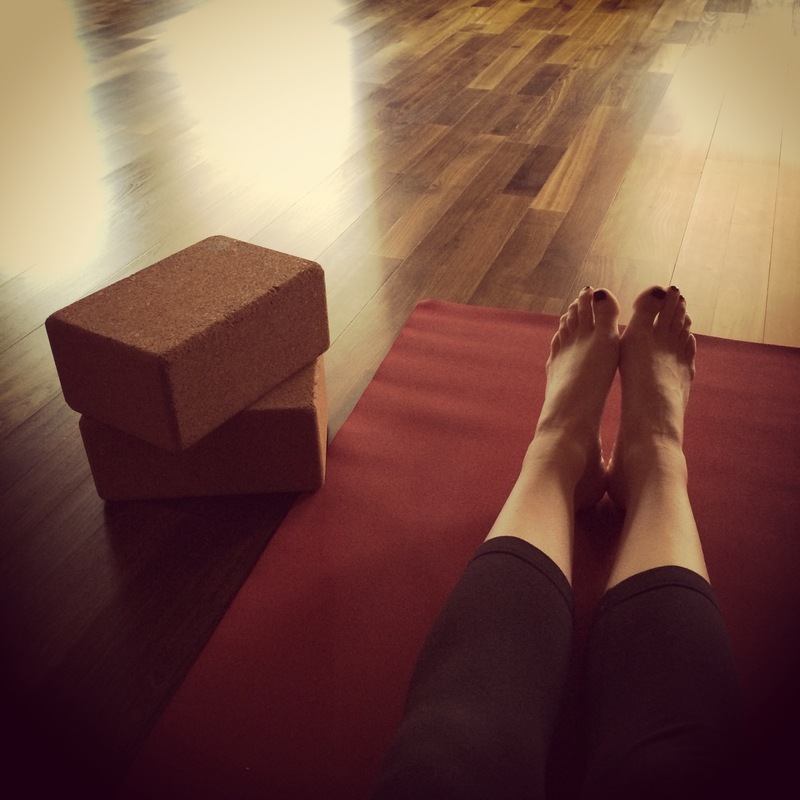 It was a Sunday morning class, so the energy was peaceful and the instructor was amazing. Michael walked around throughout the class and assisted us, which I love. He helped me get deeper into poses so I could push myself past my boundaries and get the full effect of the post. The flow was well planned out and had smooth transitions. I left the class feeling 100 times better than when I went in! Thoughts: Again, it’s no surprise that I loved this class. Out of all the cycling studio’s I’ve been to in Boston, Recycle stands true to be my favorite. 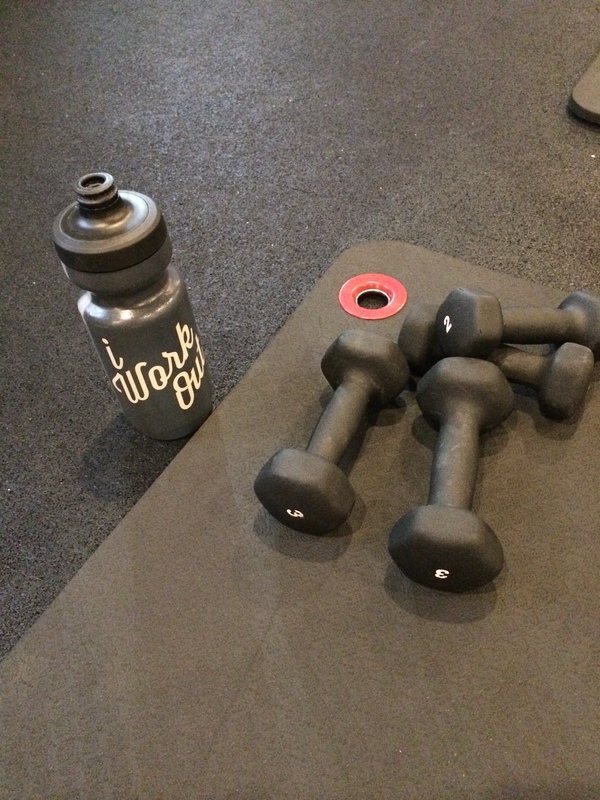 I feel like it’s the best total body workout because we do chest presses, triceps pushes, core exercises and upper body weight routines all while on the saddle. Lindsay’s classes are awesome because her playlists are amazing, her words are motivating and she has us in 2nd or 3rd position most of the time, which I love since I hate sitting in the saddle for too long! The only thing I think Recycle lacks compared to other indoor cycling studios is the fact that they don’t offer a free first class… or anything free for that matter. Shoe rentals are $2 and they charge for elastics and other little things like that that most other studios offer for free. Thoughts: Meh. I wasn’t feeling this class, partly because it was a Friday morning, which means I’m usually beat from my double on Thursday night and partly because the room was more empty than full. I also wasn’t a huge fan of the instructor’s music, choreography or instruction style. However, I have been to classes there that I loved- Ana is an amazingggg instructor, so I would suggest a class with her! I love that Flywheel is huge, so it can fit a lot of people. I also like that there is a score board- I was concerned about this at first, but the fact that they only put that up when they want you to race and challenge yourself makes it a great tool! All of your rides are stored within your profile, so you can see your progress throughout the weeks, which is cool. Shoe rentals are free (yay), your first class is free (double yay) and they have hair elastics. There are a few showers to use as well. 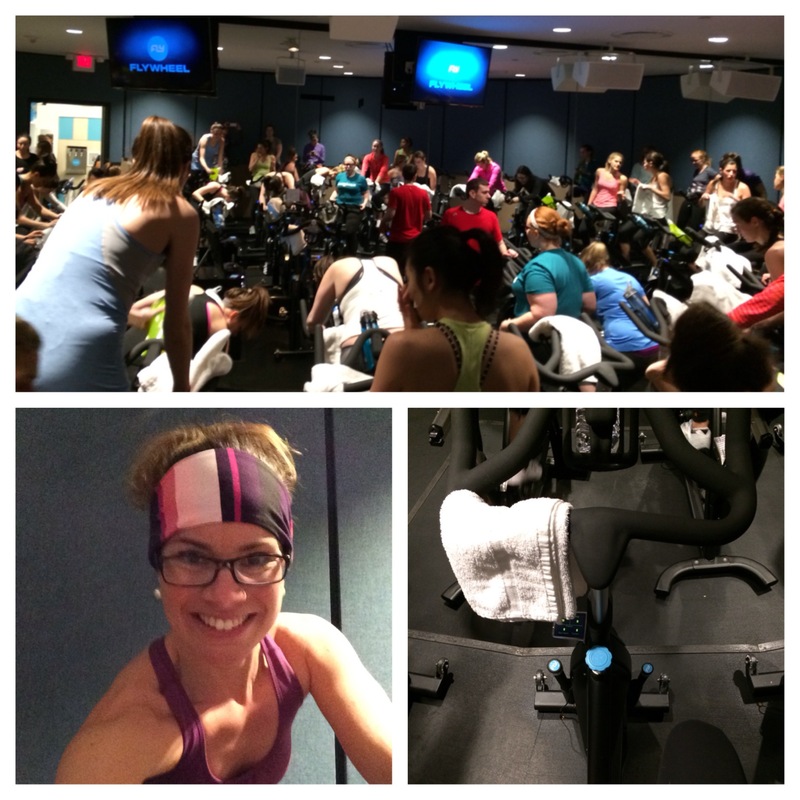 Reviews: Indoor Cycling at Flywheel, ClassPass is here! Thoughts: I loved this class! It was a nice change of pace from my usual high-intensity, high-impact workouts. This was the same instructor as the Flywheel instructor and I have to say I liked her a lot better in this environment! She gave a great workout- we did weights at the beginning that literally made my arms cry. I was embarrassed that I had to take breaks with 3lb. weights! From there we moved to some core work and then the glute work, which, again, killed me. I couldn’t even finish a set, which actually got kind of discouraging. I like to be challenged and feel the burn, but I also like to be able to achieve the task at hand. Oh well, something to work towards! I liked the studio space a lot and the employees were super friendly. They offer a wide range of Pilates classes. Thoughts: LOVED it. I was lucky enough to end up having a private lesson with Kristina and she was amazing. She asked about my fitness levels, areas of concern and what I would like to achieve during our half hour and went to town. We did all sorts of stuff that left me quite humbled. I liked that the majority of the classes were just a half hour- it was a nice change from the usual 45-60 minute commitment. We used the tower machines, which can be intimidating at first, but they are really an amazing tool. 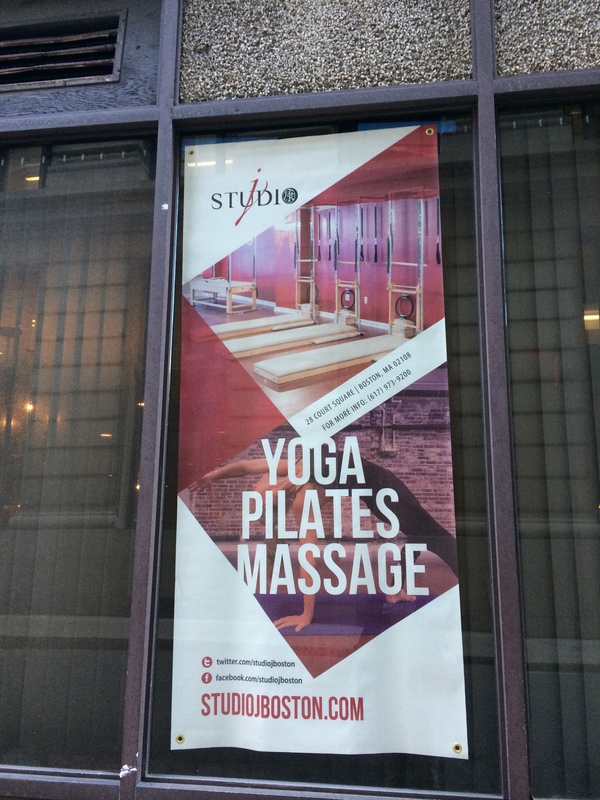 The studio has only been opened for about 2 months, but they offer a number of pilates and yoga classes. I definitely suggest trying it out and maybe you could be lucky and have a private, too. As you can see, I was able to jump around to a number of different studios to try out a nice variety of classes. The beauty of ClassPass is that it doesn’t allow you to visit the same studio more than 3 times in a month, which is great because it forces you to venture out and try new places. It would have been easy for me to go to the same studio and class throughout the month, but I tried to branch out and try classes and studios that I may not have tried otherwise. Although I absolutely love ClassPass and think it is the most brilliant idea, there are some “cons” to the system that I found out as I learned more about the membership. I feel it’s only fair for me to share these with you, too. They definitely aren’t deal breakers for me, but rather just things to keep in mind! You have to schedule your class 24 hours + in advance. While this isn’t a huge deal, it can be frustrating when you realize you can take a class the next morning, yet you can’t actually book it since it’s less than 24 hours away. It can be hard to plan out your week of workouts days in advance, but it’s kind of necessary to do when using ClassPass. You can’t cancel a class. Once you book the class, you’re committed to it, otherwise you lose your class and have to pay $20. I do have to say, though, that when this happened to me (totally on accident), they waived the fee and gave me the class back. I wonder what would happen if you learned you could no longer take a class you signed up to take? I bet if you emailed them an let them know about the situation they would help you. 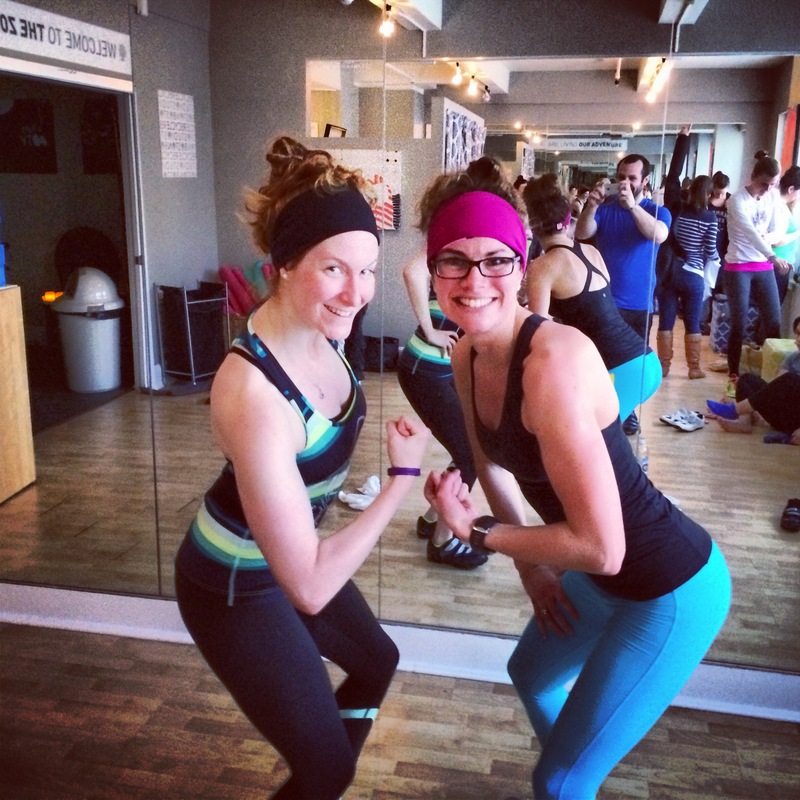 Not all classes at a particular participating studio are included in the ClassPass schedule. I’m not sure why this is the case (maybe because they are “high demand” classes and fill up on their own with non ClassPass members? ), but it’s something to be aware of. As you can see, my “cons” aren’t anything too major, especially if you know about them in advance. Otherwise, I think ClassPass is absolutely worth the money for a month membership. With the number of participating studios seemingly increasing on the daily, you’re sure to find a class that fits your need/want for a particular day. Whether it be a high intensity cardio class, barre class, Pilates class, yoga class or spin class, you can find something both in the city and the city’s surrounding towns. 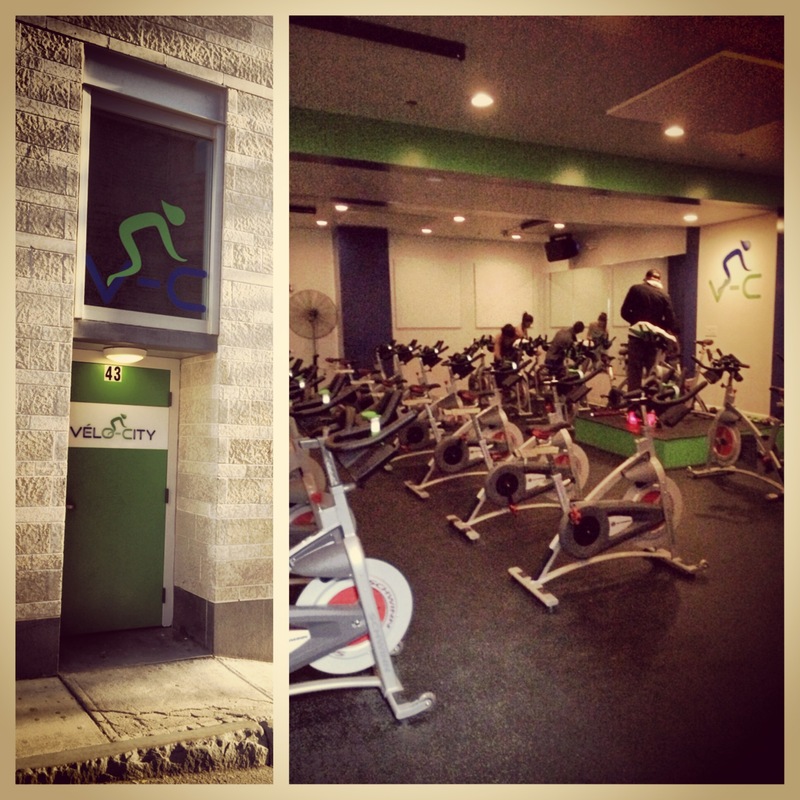 Thank you, again, to ClassPass for providing me with a membership to see what it was all about. It was such a fun month! Disclaimer: Although I was provided with a free month membership to CLassPass, all thoughts and opinions are my own. Questions for you: Have you been to any of the classes or studios I’ve listed above? Have any of you signed up for ClassPass? I like using classpass but have referred friends using the promotional link in which we are both supposed to get $50 gift cards for signing up, needless to say they are still running this promotion and we haven’t received a gift card in over 2.5 months. I have emailed multiple times. They were supposed to reach out via email to get our mailing addresses which never happened. I assume most people are not getting the gift card using the promo code – anyone else? Hmm, that’s strange, Jessie! I’m surprised you haven’t had good service- I haven’t experience that, but I also was using classpass before it got so big! It seems as though you should be getting the gift card. I would keep trying!